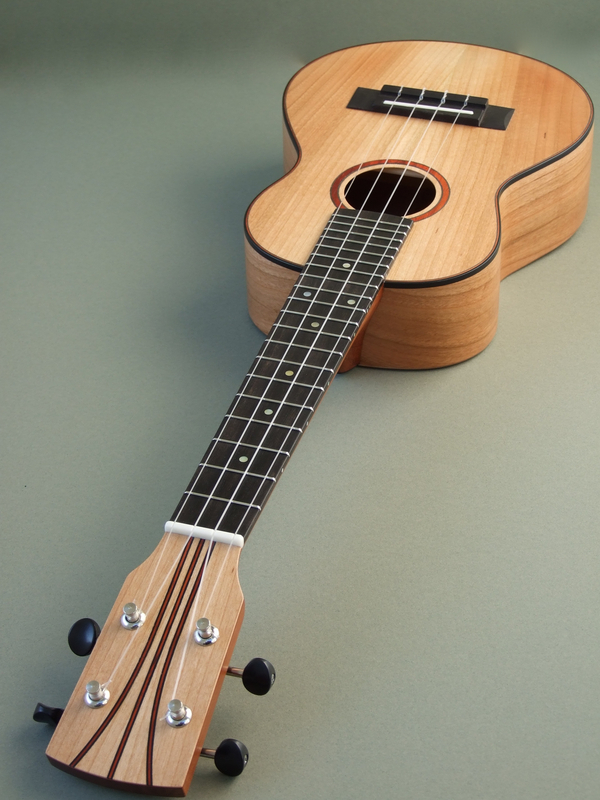 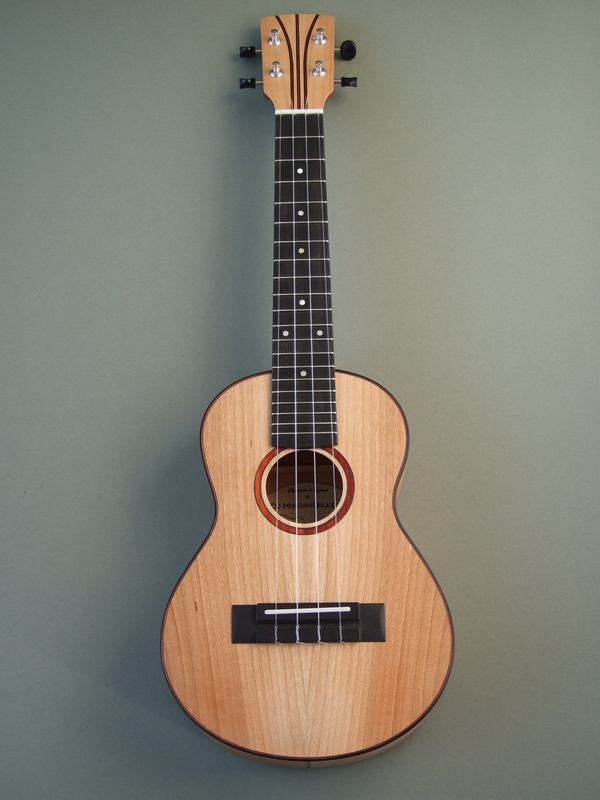 Neck: Brazilian Mahogany (reclaimed), joined to the body with a tenon and meets at the 14th fret. 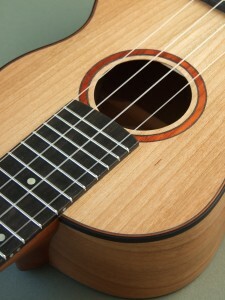 20 frets in total, 37mm wide at the nut. 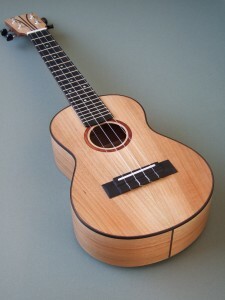 Fretboard: Ebony, with abalone fret inlays and side dots, and a corian nut. 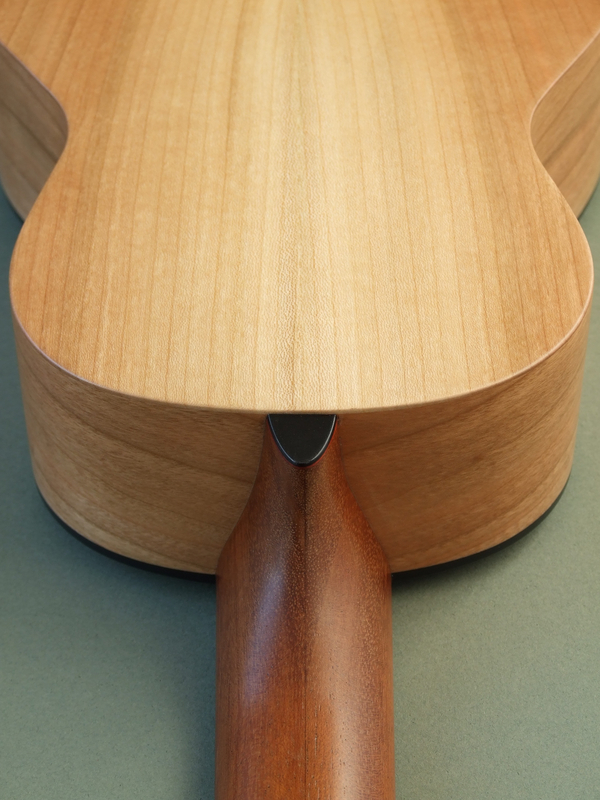 Bridge: Ebony with an angled corian saddle. 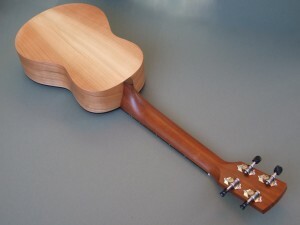 Soundboard: Inlaid rosette in Ebony and Padauk, with scalloped spruce braces and a slight radius to enhance sound projection. The binding is Ebony and Padauk with a black ABS outer band. Back: Curved across the width and down its length with scalloped spruce braces. Tuners & Strings: Geared tuners, fluorocarbon strings.